Why use SSL security certificate and use https to visit website? Today, as data security becomes more and more important, Internet protocol developers have recommended that all websites use the full https (encrypted HTTP protocol) to protect their data and the security of your site's user data during transmission . At the same time, if you use https encryption to provide the website, your website data will be transmitted during the operation of the ISP, etc. will not be able to insert ads through tampering with the web page. Many enterprises are off-site office, in the office system, ERP transfer most enterprises are still using HTTP non-encrypted transmission, which is equivalent to all your business data may be intercepted and tampered with. Therefore, we strongly recommend that all websites use encrypted SSL security certificates for encrypted access. Start with Easy HTTPs! The purpose of Easy HTTPs is to provide developers with the SSL security certificate and debugging security certificate that are automatically generated by https. The SSL security certificate generated by this service is issued by using Open Encrypt Open SSL Certificate. The system itself does not issue an official certificate. Easy HTTPs provides you with a browser-based service for automatically issuing SSL security certificates from Let's Encrypt. This service simplifies the issuance of SSL security certificates. Since the security certificate signed by Let's Encrypt is a trusted certificate, A trusted SSL security certificate can be provided for the user's website. Each of Let's Encrypt's issued certificates is valid for 3 months at a time. The system provides users with automatic renewal, certificate updating, and provides developers with automatic download of deployment codes to automatically download updated certificates. 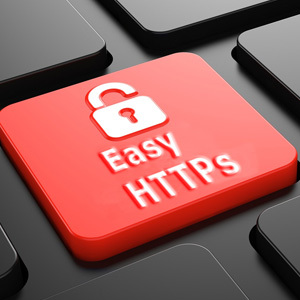 The Easy HTTPs service provides users with year-by-year certificates (official certificates). During the service period, the user can create any number of certificates for self-signed debugging, and create, generate, update, Download and other services. Why use Easy HTTPs Certificate Management Service? The purpose of Easy HTTPs is to allow users to visually issue a certificate from Let's Encrypt. Let's Encrypt is a free and open source CA service organization. The certificate signed is a trusted certificate, which provides security for user website data. However, if an engineer issues a certificate on their own from Let's Encrypt, they need to go through a lot of searching for information, installing various softwares, etc., from one week to two weeks to 2-3 weeks. Through this system management Let's Encrypt certificate is completely visual guide operation, all the steps of the Chinese tips and guidance. At the same time based entirely on the B / S architecture, developers only need to enter the domain name and verify the domain name SSL certificate issuance, update and download. If the user obtains the SSL security certificate from the paid CA, then as a few hundred dollars a year certificate costs, as many as 10,000 yuan / year certificate fees. The system you can as low as a few yuan / year to create a formal "green logo" security certificate. Is Easy HTTPs a CA authority? No, Easy HTTPs only provides users with services to issue certificates from Let's Encrypt and to provide users with SSL security certificates for self-signed debugging. How long is the certificate generated by Easy HTTPs valid? 3 months(90 days), according to Let's Encryt's service agreement, every official SSL security certificate from Let's Encrypt is valid for 3 months, and your certificate can be automatically renewed with Easy HTTPs (each renewal is 3 months). Self-signed SSL security certificates issued via Easy HTTPs are valid for one year. Is Easy HTTPs Upgrading Let's Encrypt Certificate Management Protocol? Yes, the Easy HTTPs development team regularly adjusts our interface based on Let's Encrypt's Terms of Service and Certificate Management protocols. SSL Secure Certificate Management Services for Easy HTTPs What payment methods are supported for subscription? The system supports WeChat, Alipay sweep code transfer, bank transfer, etc. payment. How soon after Easy HTTPs subscription? The Easy HTTPs team opens immediately after we confirms that your service payment has been due and is available from 09:00 to 19:00 daily(At Beijing TimeZone), not after the current service expires until the next day. What are the effects of Easy HTTPs on managing formal certificates? All official certificates are issued by Let's Encrypt. Therefore, whether the official certificate managed by this system can be officially issued or updated will be subject to the Let's Encrypt Terms of Service. What Web Server Certificate Items Included in Download When SSL Secure Certificates Are Managed by Easy HTTPs? Yes, you can download the certificate once it is successfully generated from Easy HTTPs. Easy HTTPs provides the downloaded package for ZIP archives, which includes the certificates required for software configuration for common web servers such as Apache, Nginx, IIS, Tomcat, etc. Key and certificate file. What notifications does Easy HTTPs send to my mailbox? The system will send e-mail notifications 30 days and 15 days before your Let's Encrypt certificate expires. In addition, the system will expire your subscription service, the order will be confirmed when the opening of the order will be sent to your mailbox the necessary notification e-mail, please make sure that our e-mail in your whitelist! Why do Easy HTTPs validate domain names when generating an official certificate? SSL Security Certificates are used to protect the websites you provide (domain names) from encrypting this data as your users and web services deliver the data, so it must guarantee that the certificate you have signed is your own (controllable) domain name. How do Easy HTTPs validate domain names when generating formal certificates? The system creates a certificate based on the http protocol that generates the certificate's domain name (that is, does not encrypt the website access address). The system in the process of generating a certificate will provide you with interactive interface and real-time domain name verification help, you only need to step by step operation! Easy HTTPs Managing SSL Certificates Are Sample Configurations Available? Yes, all the generated certificates in this system provide associated configuration examples (configurations include: Apache, Nginx, Tomcat configuration). Does Easy HTTPs manage SSL certificates provide the keystore format used by Tomcat? Yes, all certificates generated by this system will automatically include the keystore format used by Tomcat when downloading. The keystore key can be viewed in the system certificate management panel. Do the http protocol for website domain name must be accessible when Easy HTTPs generates an SSL certificate? Yes, in the verification of the domain name, you need to deploy the certificate to the root directory corresponding to your domain name.